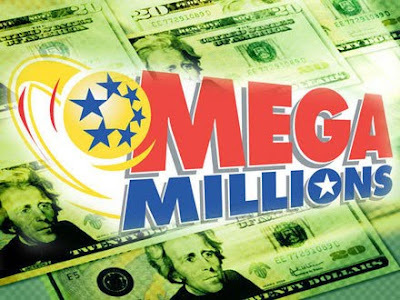 With all the buzz surrounding the Mega Millions and Millionaire Raffle lately, it got us seriously thinking about what we would do with the money if we won (we may or may not have purchased tickets). It took us all of about .5 seconds to come up with our answers. I would buy Ohio State football and basketball season tickets, along with a condo in C-bus (Columbus, Ohio). Not a house because I don't want to live there year round, but I will need a place to stay when I go watch the games. Then, I would hire my own personal massage therapist/hair-player-wither. I must have overly sensitive nerve endings in my skin because I seem to love getting massages more than most people. Steve would quit his job(s) immediately and buy a ridiculously large home in Austin, Texas. He also said that "we might get some work done on you" as he wrapped his arms around me. Talan would buy the airplane thing at Maverick (no clue what he is talking about), and a Transformer toy from Walmart. Tatum would also buy the airplane thing at Maverick, and fly on an airplane to Pittsburgh to see Bryan and Jamie. We really aren't asking for all that much. There are so many things I can think of if I won that kind of money. But I wish I was a kid again, that way it keeps it simple. Talan and Tatum have the right idea. The plane from Maverick sounds just about right.